If you would like to visit the BrickCan Exhibition on either Saturday or Sunday, please visit the ticket page here. If you are an AFOL (Adult Fan of LEGO) and would like to join us for the full 4-day convention (May 2-5, 2019) which lets you display models, participate in activities, win prizes, and attend seminars you can register below. Please be sure to carefully read the terms and conditions before continuing. If you’ve never been to a LEGO convention before, or haven’t been part of an Adult LEGO club, don’t worry. If you are an adult, and consider yourself interested in any aspect of LEGO as a hobby, the full convention is what you want! Whether you simply collect sets or build your own creations you’re sure to have a great time at BrickCan meeting like-minded people. Registrations will close on March 31, 2019, or earlier, if the maximum number of attendees is reached. BrickCan is an Adult (19+) Fan Convention, and not intended for children or teens. For any questions on this policy, please contact BrickCan. All non-attendees planning to visit the exhibit hall on the public days (Saturday, Sunday) must purchase a regular Ticketmaster event ticket. Pre-purchasing of event kits and t-shirts is only guaranteed available until March 15, 2019. After this, purchases will be made in person at BrickCan, dependent upon remaining availability. Items do not include any shipping or delivery. All items will be available for pickup in person at BrickCan only. Attendees acknowledge and understand that BrickCan will be photographed and recorded. Attendance at the event constitutes your agreement to permit the producers to use the photographs and recordings (included any edited, revised, or modified versions thereof) for purposes of advertising, distribution, broadcast, and other dissemination and in trade in any and all media anywhere in the world at any time without limitation and without your inspection and/or approval. This permission extends to minors and other persons in your care. BrickCan reserves the right to determine the suitability of any MOC to be displayed at BrickCan, and the organizer’s decisions are final (see the MOCs page for further details). Attendees agree to be courteous and respectful towards all Con attendees, members of the public, and hotel and venue staff. Play well, everyone. Attendees agree to abide by hotel and venue policies regarding consumption of food and alcoholic beverages anywhere in the venue, as well as the consumption of outside food and alcohol in certain spaces. Refund requests will be accepted until April 1, 2019. BrickCan reserves the right to deny refunds after this date. The applicant will indemnify and hold harmless BrickCan Foundation, the BrickCan directors, and the River Rock Casino Resort from any liability, damage, expense, cause of action, suits, claims, judgments, and costs of defense arising from injury to persons or personal property which arise out of any act, failure to act, negligence of the attendee, and their agents, employees, or assigns. All personal property of the attendee, and their employees, agents, licensees, servants, clients, members, guests, or trespassers shall be at the sole risk of said parties; BrickCan Foundation, the BrickCan directors, and the River Rock Casino Resort shall not be liable to any such person or party for any damage or loss to personal property thereof. Attendance at BrickCan is subject to compliance to all rules, terms and conditions set forth in this document, on this website, and at the event. Failure to follow stated or posted rules may result in being asked to leave the BrickCan convention and the venue without refund. By submitting your registration and payment, you signify that you have read, understand, and agree to the above terms and conditions. Note about Brick Badges: These will be customized with text of your choice. We recommend one is your name – unless you already have a name brick to bring with you! 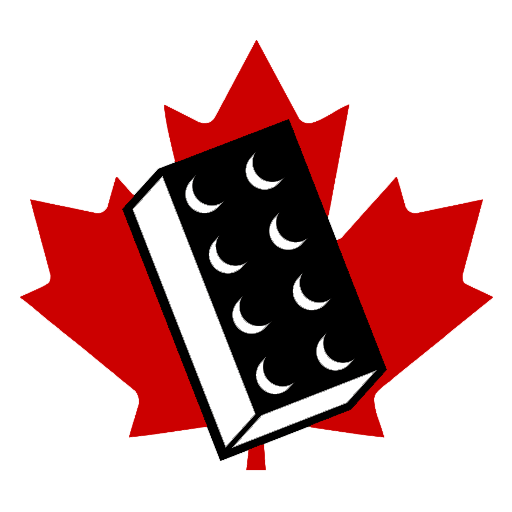 You will also receive a BrickCan 2019 badge.